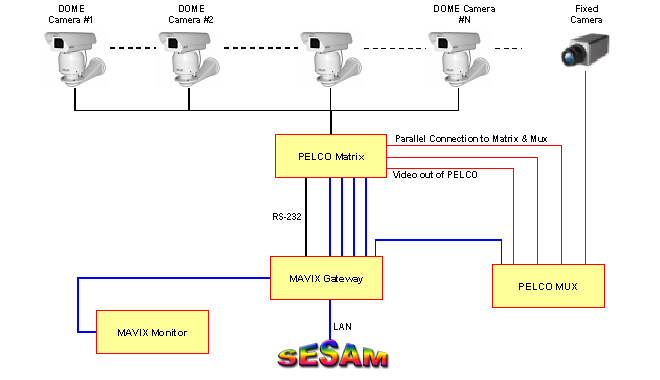 The National Airport installation demonstrates how PTZ cameras are controlled, which are connected to a PELCO video matrix. The video is transferred to both a MAVIX gateway and a PELCO MUX (multiplexer) unit and from there to a MAVIX Monitor. The video signals are processed in the MAVIX unit. Finally, the video data are transferred to SESAM software, which allows viewing and archiving the video and retrieving the recorded video.